Three nights (Thursday to Saturday) and a matinee at 14:00 on Saturday. This show is filled with modern musical numbers, accompanied by a live band, that will have the audiences humming the tunes on the way out. The wonderful story will have all of the usual family pantomime characters and frolics including a baddy, of course, the Demon Blackheart. But never fear - in the end, good triumphs over evil and everyone celebrates with a rousing chorus! Be sure to get your tickets soon and come along ready to join in the fun. Box Office: Stevens Estate Agents, Henfield High Street. 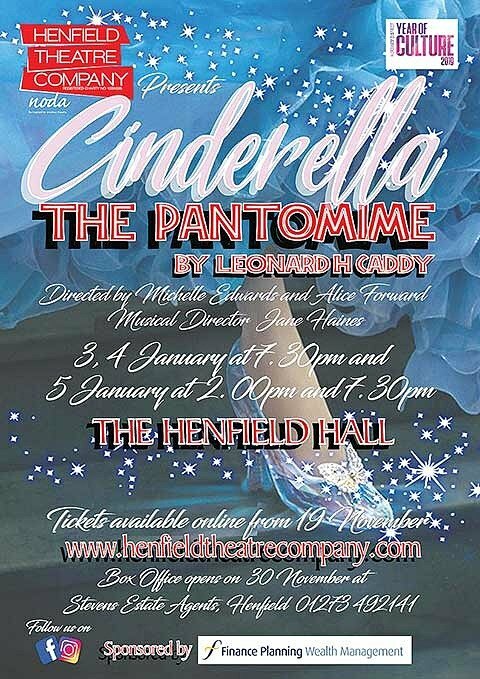 T: 01273 492141 and on line at: www.henfieldtheatrecompany.com.